Three years ago (actually to the day funnily enough!) a guy drove into the back of my car and ever since I have had back/neck and shoulder problems and a lot of pain at times! I know this is a bit of a dull subject but I shall be doing a post on how I best cope with back pain as I know a lot of you suffer too and I'll let you know what has worked and hasn't worked for me as I have tried many different treatments and products over the years. I have been recently seeing a Chiropractor for treatment and I mentioned to her that I had been to Leeds for the weekend and how I'd had such a good night's sleep as the bed was so comfy! She said that means I need a new mattress (memory foam, temperature control, pocket springs). I didn't know you are meant to change your mattress every 10 years, did you? So after looking on the internet for rough prices last week I went bed shopping, thrilling I know! So you know me...just a new mattress isn't good enough, I of course need a new Bed Frame, bedding, and new bedside tables with lamps! ha ha ;) When shopping I absolutely can't stand the hard sales pitch...I know what i'm after and prefer to look around myself and ask questions if I have any. I'm probably what's known as a salesman's worse nightmare as the usual patter about 'the sales ends on Monday' doesn't work on me i'm afraid! ;) I found quite a good deal on a good quality memory foam mattress but was quite disappointed with the choice of bed frames - all looked a bit cheap and nasty (and not cheap in price)! So still on the lookout for a bed frame - have seen a couple online but I'm wary of buying in case there's an issue/wrong size! So that get's me onto pillows...I always used two or three pillows before my accident, and bought a memory foam pillow last year after hearing many people rave about them being good for back problems but I found it uncomfortable and too hard, I find using one soft feather pillow works better for me. I came across The Sleep Angel Micro Fibre Pillow from John Lewis priced at £60, which is the first and only pillow to be impermeable to viruses, bacteria, the common flu bug, bed bugs and dust mites. Air can enter and leave, making it super hygienic and incredibly comfortable and clinical tests prove that it improves overall sleep quality. 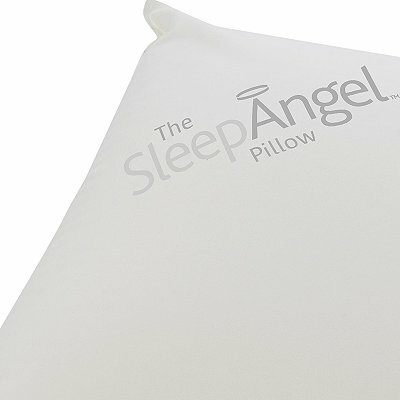 Have any of you tried the Sleep Angel Pillow? This pillow sounds so interesting. I usually experience hypnic jerk when I sleep and I think it's because of my pillow. It's a bit pricey but I better try this one. I used to suffer from awful back pain too. Have you not considered an adjustable bed? It got one as soon as my doctor advised me that my back problems could be due to my matress. My back has been soo much better since.